At the last home meet of the season, varsity boys golf fell short against a well-rounded Prairie Ridge team. 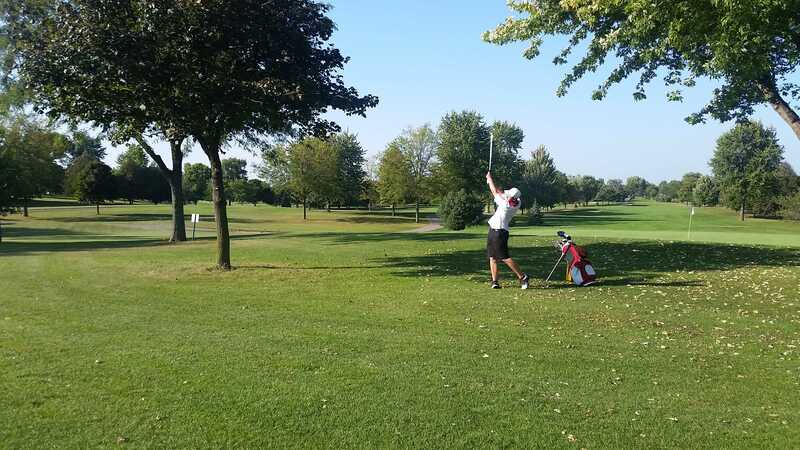 The boys did not play their best on the course, with an overall score of 172 points when play was finished. Senior Youssef Abbadi and junior Jack Wagner fared well through the day, but it was not enough to elevate the Raiders to the level they needed to play at in order to have a chance against such a strong opponent. According to coach Kalamatas, junior Garrett Heinke was the standout of the meet. He had the best round of the day, managing to shoot a 41 and avoiding any blow up holes. While Heinke had a successful round, it was not enough to pull the team within reach. Even if they all had played their best game, Kalamatas knew it would be difficult to come close. “We probably could have shot our best round of the year and still wouldn’t have been able to contend,” Kalamatas said. Even their previous average scores of around 160 would not have compared to Prairie Ridge, a tough competitor in their conference, comparable to Jacobs. Although the result was not what they wanted, the boys enjoyed having a Raider Nation presence at Pinecrest. Waving golf spirit wear provided by Kalamatas, the fans made it a point to cheer on senior golfers as they teed off. Keeping with golf etiquette, senior leader Sam De La Paz and senior Veronica Casey held “Quiet” signs and followed the path over the “Mississippi,” as it’s lovingly referred to, in order to watch the play at holes one and four. After he sank his putt on hole four, Abbadi turned and gave a wave and cheeky bow to the fans, clearly enjoying the recognition. With the junior players asking if they would have the same reception next year, Kalamatas hopes the increased fan participation will continue into the following seasons, creating a new tradition.